When your dealership sells a car to a new customer it is just the beginning of the customer life-cycle. Welcome them to your service department with open arms by letting them know you are there for any of their vehicle needs and help schedule their first service appointment. 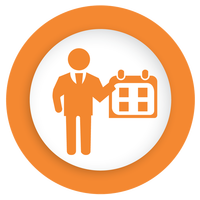 Reduce the number of missed appointments with automated email and phone reminders. Increase loyalty and retention through a customer rewards program that provides a practical incentive model to keep customers buying from you. Set rewards to track throughout the customer lifetime to be used towards trade-in values.